"No one expects perfection but you". 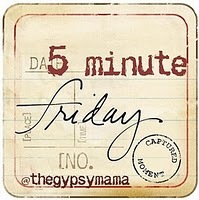 Great 2x4 phrase and [perfect] (lol) for the 5 minute friday prompts! Love your post! Lovely post. Deep breath - breathe Him in. If you have read Ann Voskamp's book, One Thousand Gifts, this deep breath could be Eucharisteo - grace, give thanks - then JOY. He is risen - truly He is risen. Let us all breathe Him in. Have a wonderful spirit-filled day. THAT I will remember....that is what the washing machine is for. Love it. All VERY good things to remember! I'm taking a deep breath tonight too. (I needed that). (Thank you).